Rescue crews airlifted a hiker Saturday who had fallen along a rain-swelled creek in one of San Diego’s most popular canyon trails. The San Diego Fire-Rescue Department got a call at 9:48 a.m. for a hiker who had broken her leg after slipping down some rocks at the waterfall on Penasquitos Creek, roughly halfway along the 7-mile trail just north of Sorrento Valley Road. Recent rains have swelled the year-round creek well beyond normal levels, but Battalion Chief Jeff Mitchell wasn’t sure how much that was a factor. 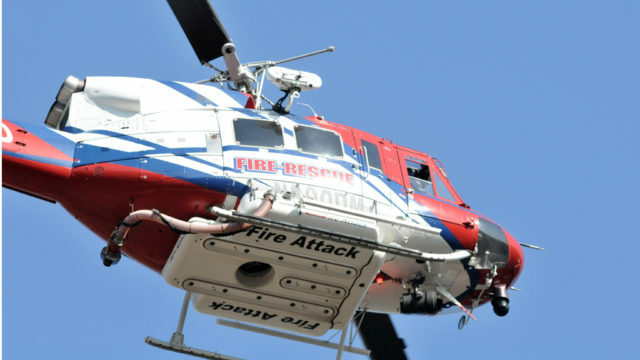 The helicopter flew her to a waiting ambulance, which took her to a hospital, Mitchell said.